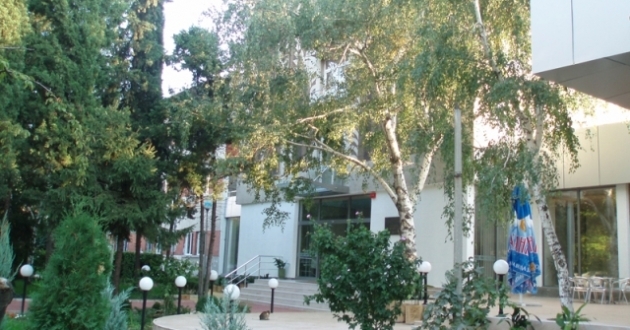 Location: hotel Intelcoop is located in one of the quietest quarters of Plovdiv. Accommodation: The hotel offers 43 single rooms, 21 double rooms and 7 apartments. All of them are equipped with A/C, mini-bar, TV, internet. In the hotel: Restaurant with 120 seats, lobby bar, parking, fax and copy machine services, wake up call, individual laundry, safe, 7 conference rooms with equipment and capacity from 30 to 100 seats, computer room with 16 places.